You all know how much I love to raid my mom’s closet when I head home to Austin, and this trip I most definitely took advantage. One of the pieces out of her wardrobe I wore (ahem, repeatedly) was this amazing Rachel Zoe cape-sleeved coat. Apparently it’s from last year – no idea how I was just now finding it! While I love my camel Jenni Kayne cape from fall, it hasn’t been heavy enough to wear, especially now that the temps have dropped below 50 around here. 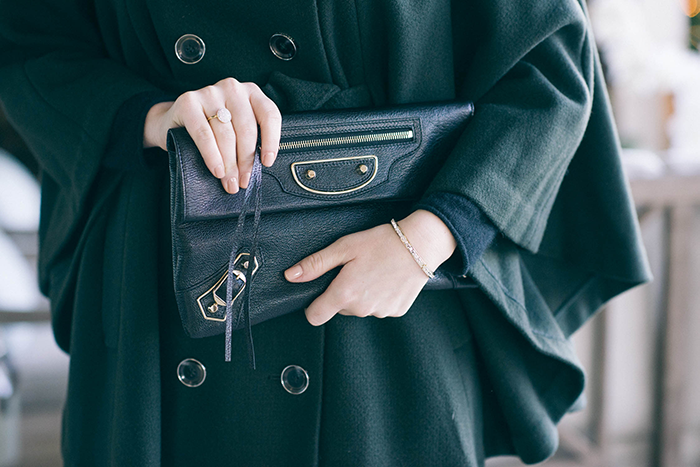 This Rachel Zoe coat of my mom’s is ideal – I kinda wish they would remake it or at least another version of it. There’s so much to love about this coat: the funnel neck, oversized buttons, waist-cinching belt and of course, the big cape sleeves. Since this particular coat is no longer available (tear), I found a few chic alternatives to get the look yourself! 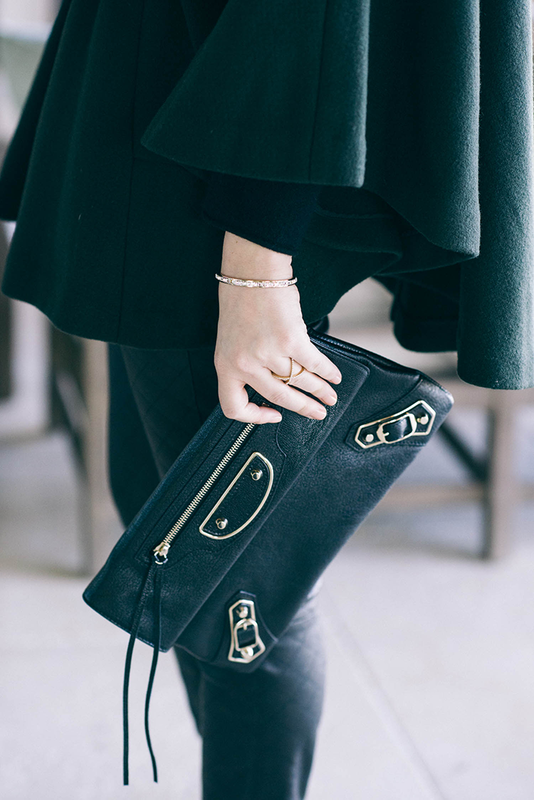 If you love fur (and this luxe, green hue), check out this cashmere + fox fur cape. It’s a gorgeous cocktail outerwear option, don’t you think? 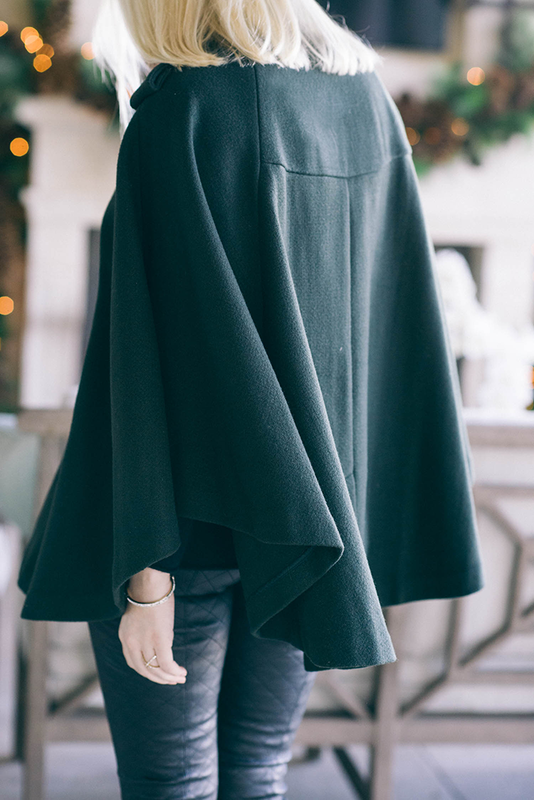 For a more daytime look in a similar green color, this Vince cape is a winner (and it’s on sale!). 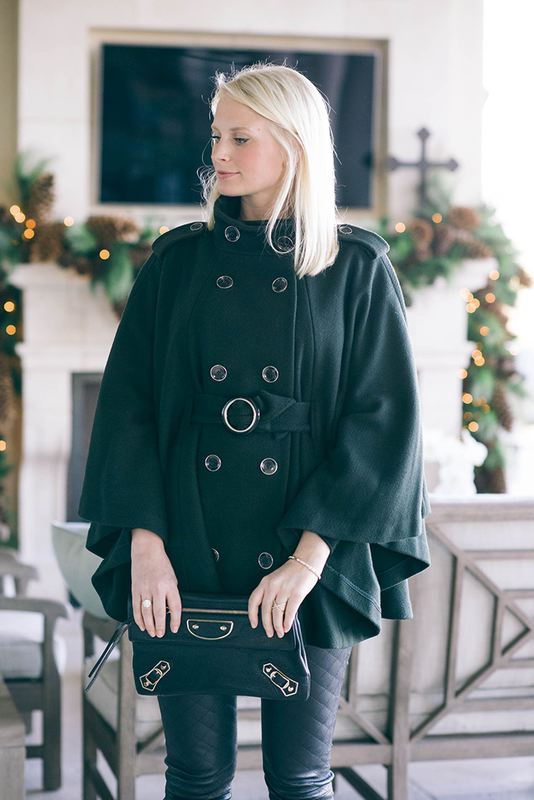 If you’re not necessarily sold on green, you may love this camel Trina Turk cape/coat, or this leather-lined cape by Ralph Lauren. Also, this dream cape – sigh. This cape is amazing, so pretty! This cape is gorgeous! I bought a Rachel Zoe romper this year and I was happily surprised by the quality. I bet the cape is perfectly crafted too. Happy 2015! That cape is beautiful! So fun that you share some of her things while home. I occasionally do the same to my mom. I love that you paired it with black leather. It adds such a great edge. Your mom has an amazing closet haha! Love the cape but also obsessed with those pants too! the cape is gorgeous, but probably not warm enough for Chicago :( I love these pants too! hope you had a great Christmas! This look is beautiful. I love the cape! That cape is amazing! Absolutely love it! In love with those Quilted Leather Leggings/Pants, never seen anything like them before, i am intrigued! Until this moment I didn’t know quilted leather pants were a thing! They are so gorgeous and classic paired with the cape! I always snag stuff from my mom’s closet as well…why not?! I love that cape! It is so chic and classy! Those quilted leggings are perfect too! Those leather leggings are ah-mazing!! I am loving the quilted look on those leggings, it gives it such a different look! ok, that cape is pretty spectacular, but those leggings!!!! obsessed!! why are all the good leather leggings sold out? my quest continues. happy Monday! I borrow from my mom, too, and it’s the best!! You scored big finding this cape in her closet. It looks so good on you! Your mom’s cape is fabulous! I would have totally snuck that home in my bag. And I love those leggings too! Hope you had a great Christmas! Those leather quilted pants are everything. I can’t get enough of capes and I love your edgy take on this one!